Dr. Dopo Jam is an obscure Danish progressive who melt down a lot of influences into their blend. The opening track starts with a slightly Animals-like theme before sliding into a Motown-ish chorus and a guitar solo that sounds like it could be from a French psych group like Ame Son, Couer Magique, or Nyl. 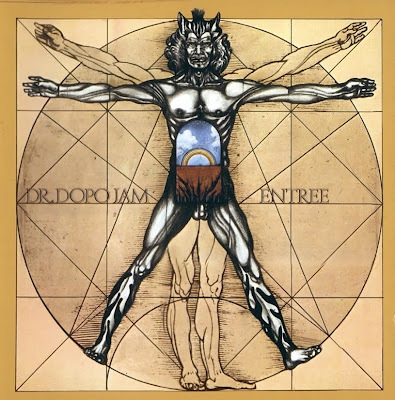 Dr. Dopo Jam cover a bewildering number of events on this, their second album. There are distinct fusion elements full of dynamic instrumental play and moments of doo-wap vocals that sound like a weird combination of Smokey Robinson, the Beach Boys and the Mothers of Invention. This type of stylistic pastiche reminds me of Supersister at their zaniest, and, probably their greatest overall influence, Frank Zappa. The results are always interesting and often spectacular, especially when the group lets it rip. Instrumentally, the group is all over the map - piano and violin duets, vocal choruses (with more than one lead vocalist), horn sections and more. Such a bizarre musical amalgam is well worth the trip, but believe me, this is unlike anything you might have heard. Well worth the find for fans of oddly original music, this is a feast for the ears. The one jam with the bizarre Xhol-like sax totally won me over.